We help children get a strong start in life, start school ready to succeed, and build critical reading skills to equip them for success in school, work, and life. I spend my days now, thanks to the AmeriCorps Iowa Reading Corps program, with some wonderful elementary school students in K-3rd grade who are working to become better readers. I could not be more pleased to help them reach their reading goals as an in-school tutor serving here due to a partnership between the United Ways of Iowa and Iowa Reading Corps. AmeriCorps Week is March 11-17. AmeriCorps was founded in 1994 and provides chances for almost 75,000 Americans to serve our nation within nonprofits, schools, public agencies and other community and faith-based groups throughout our country. With our AmeriCorps pledge to “get things done for America – to make our people safer, smarter and healthier,” more than 10,000 Iowa residents have served more than 14 million hours since AmeriCorps was founded in 1994. Service members in Iowa have also qualified for Segal AmeriCorps Education Awards totaling more than $34.57 million since inception. Given that it’s AmeriCorps Week, I’d like to thank the more than one million other Americans like me who have served their country through AmeriCorps and its community partners. I’m grateful to be in such good company, and I’d like to encourage more Americans to join in serving their country through AmeriCorps. The opportunity is an honor and a privilege. I am eternally grateful to the United Ways of Iowa for their partnership with Iowa Reading Corps and to AmeriCorps for making my service to this nation, and that of so many other Americans, possible. Clinton Reads promotes literacy through collaboration among various United Way funded and community organizations in Clinton, Iowa and the surrounding area. 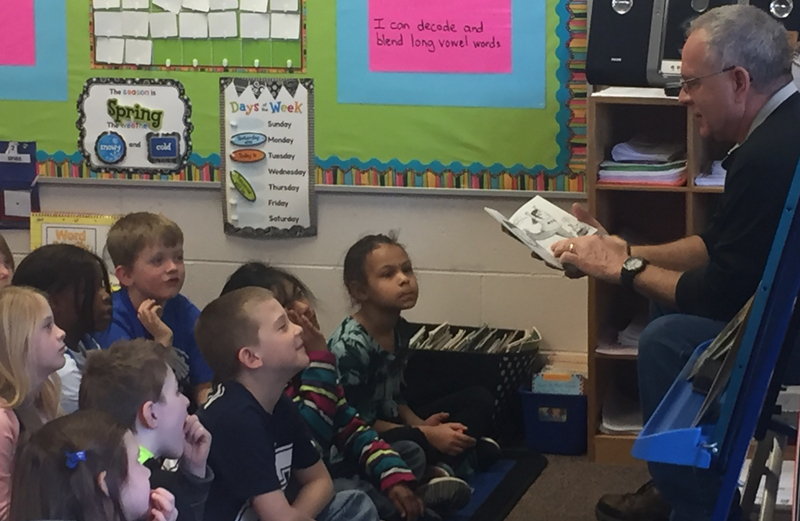 Thank you to Brent Munck and Brian Conzett (pictured above) with LyondellBasell for reading to the 1st graders at Camanche Elementary School for Clinton Reads MEN-toring during DEAR Week! They did a great job, and the kids really loved it! The men read The Talent Show from the Black Lagoon by Mike Thaler. 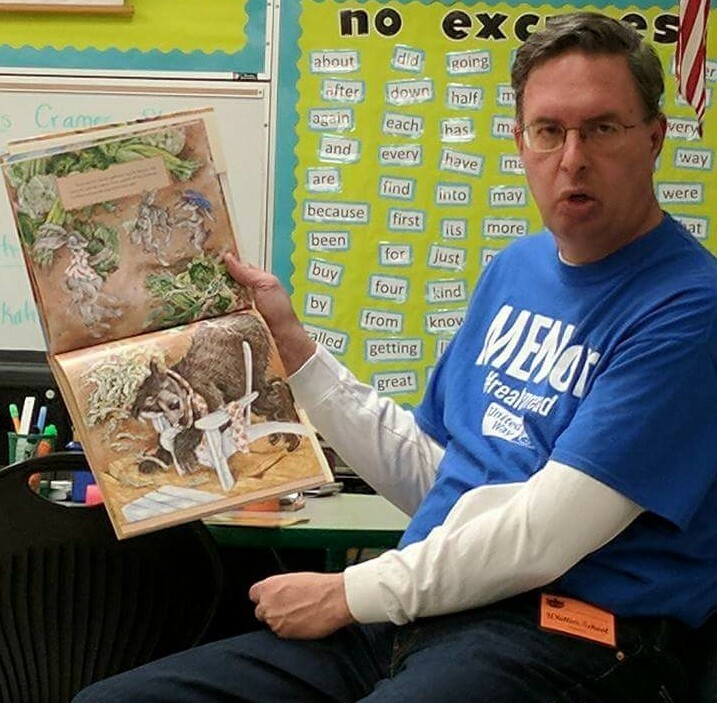 A big thank-you to Dennis Lauver (pictured above) for reading at Prince of Peace Elementary School during DEAR Week!